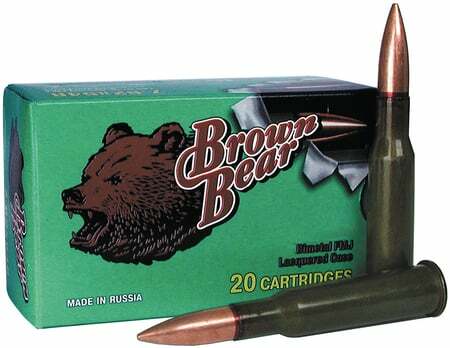 Features lacquered steel case construction; hence the Brown Bear name. Berdan primed. Loaded to exacting standards normally reserved for military specification ammo.